Smile Gallery: Smile Makeovers in Glendale, AZ. Real Patients and Real Results. 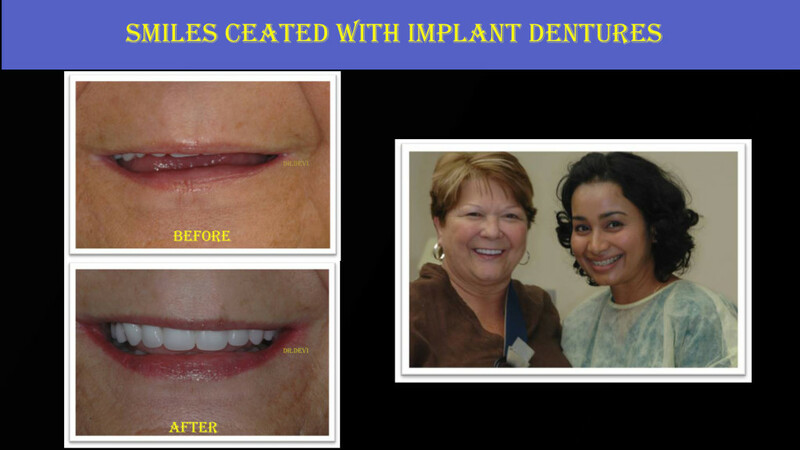 The following are samples of Smile Makeovers Created by Dr.Devi on her patients. Smile Makeover is a highly skilled art and since each patient is different, Dr.Devi do a detailed Smile Analysis and create the most aesthetically pleasing smile unique for every person. Being an Implant and Crown & Bridge Specialist (Prosthodontist) with additional five years of training, Dr.Devi is able to utilize her advanced education & training and esthetic sense to make these transformations. Arrowhead Prosthodontics & Dental Implants is located on 79th Ave & Union Hils, inside the Arrowhead Medical Plaza. We provide Smile Makeovers, Dental Implants, ALL ON 4 and Full Mouth Restoration for patients in Phoenix, Glendale, Peoria, Sun City, Surprise and Scottsdale. Top Prosthodontist & Implant Specialist in Glendale AZ. 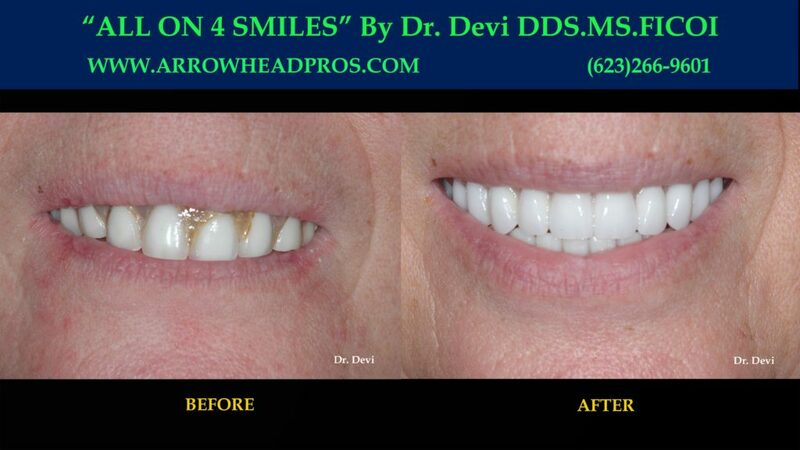 Dr.Devi DDS MS is the only Dentist with two Masters Degrees (Prosthodontist & Dental Implants).